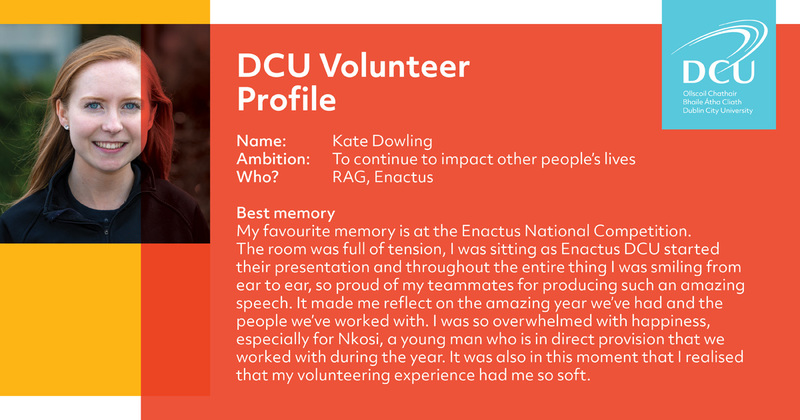 I volunteered with RAG and Enactus in my first year. With RAG, I went to their after school club with the Aisling Project in Ballymun and their football training GoGAGA in DCU. I loved this because it’s just pure fun. It’s probably the one time a week where I totally relax and just run around with the kids. With Enactus, I worked with those in direct provision through Threads as well as helping with Second Scoop and GiveBack.ie. Honestly, I would never say I was a hugely charitable person. But even in the pub/restaurant that I work in, I realised that I love helping people - even something as simple as making a little girl stop crying in the restaurant by giving her a balloon or making someone a coffee just the way they like it because the reaction and appreciation from them makes me feel SO GOOD! With this drive, I knew I wanted to replicate this feeling in college and both RAG and Enactus provided the perfect outlet for that. 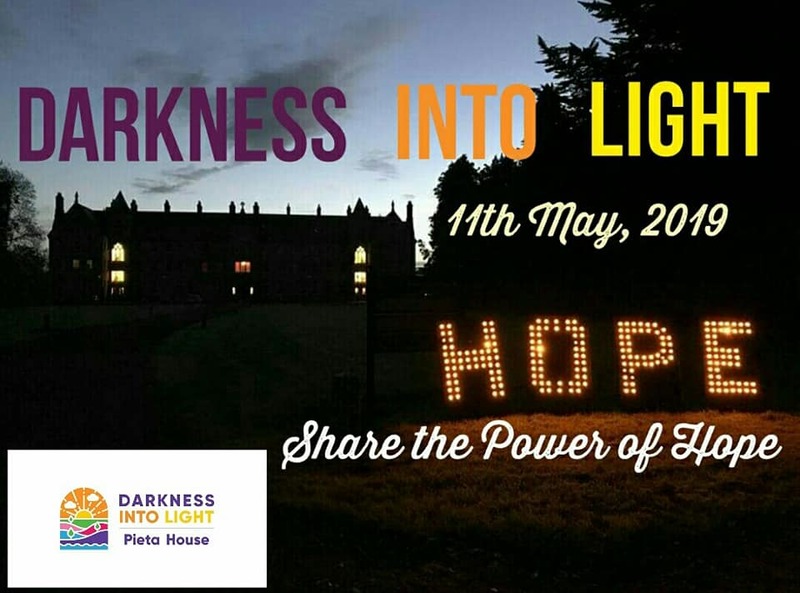 You don’t realise the impact you make on people’s lives or how much of a fortunate position you’re in until you find yourself able to help someone. My favourite memory is at the Enactus National Competition. The room was full of tension, I was sitting as Enactus DCU started their presentation and throughout the entire thing I was smiling from ear to ear, so proud of my teammates for producing such an amazing speech. It made me reflect in the amazing year we’ve had and the people we’ve worked with. I actually started CRYING because I was so overwhelmed with happiness, especially for Nkosi, a young man who is in direct provision that we worked with during the year. It was also in this moment that I realised that my volunteering experience had made me so SOFT. It’s a cliche, but we are genuinely so fortunate - it’s so easily forgotten about. I want to go back to Austria, a stunning country! I have a scar above my eyebrow and scalp from when I fell on the Ha'penny Bridge and dove head first into the metal railing of the bridge.